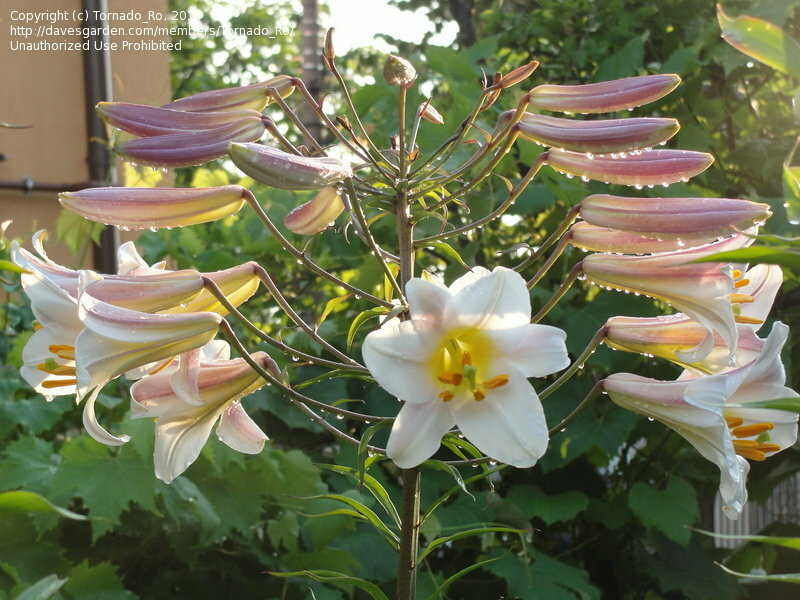 This plant was grown from seed and is now five years old. 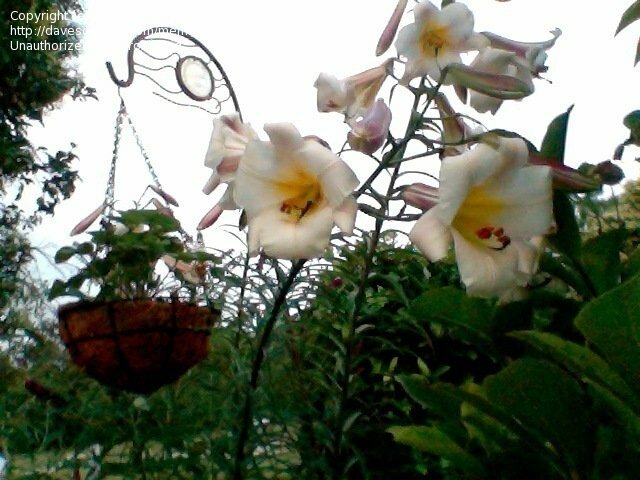 It grows in my garden in North East England. 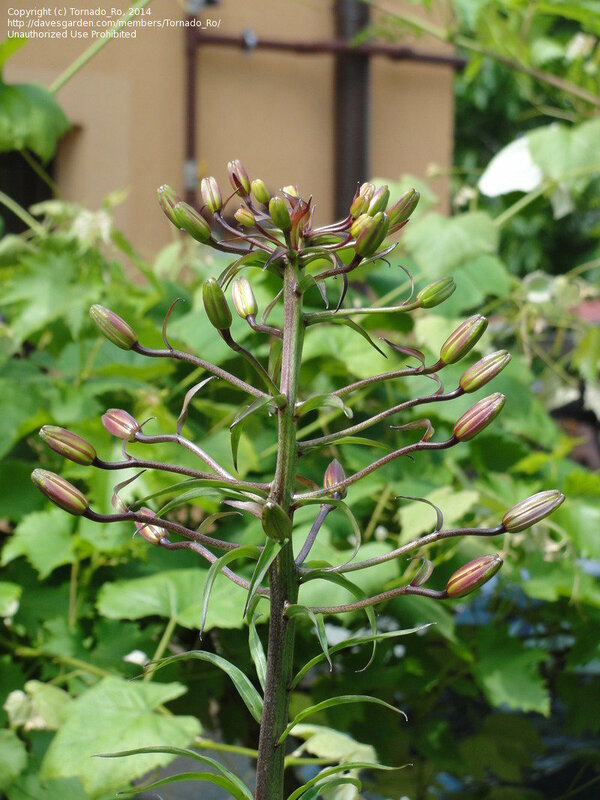 Another image of the same seed grown plant. 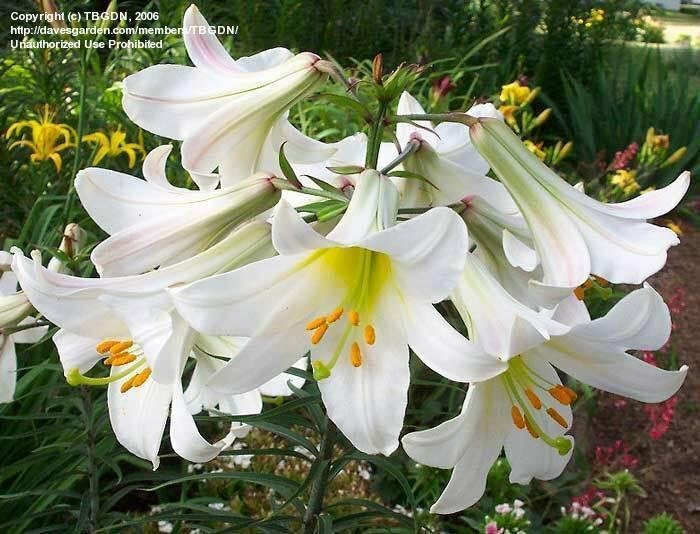 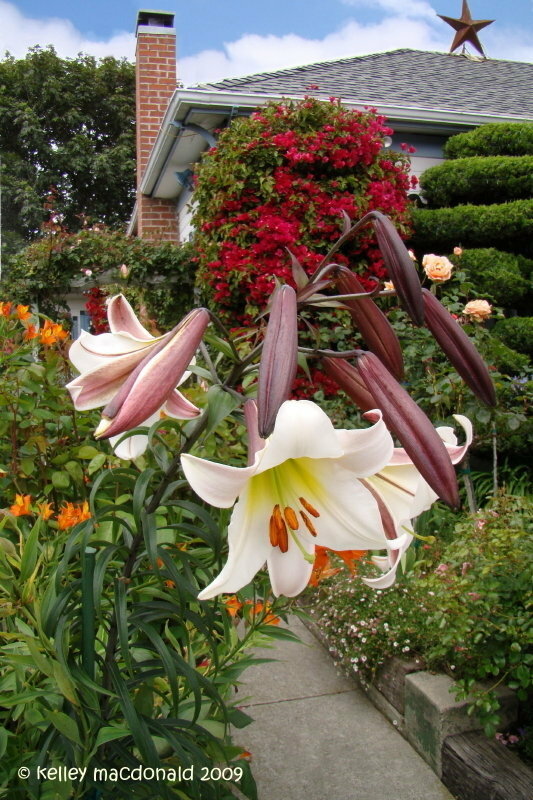 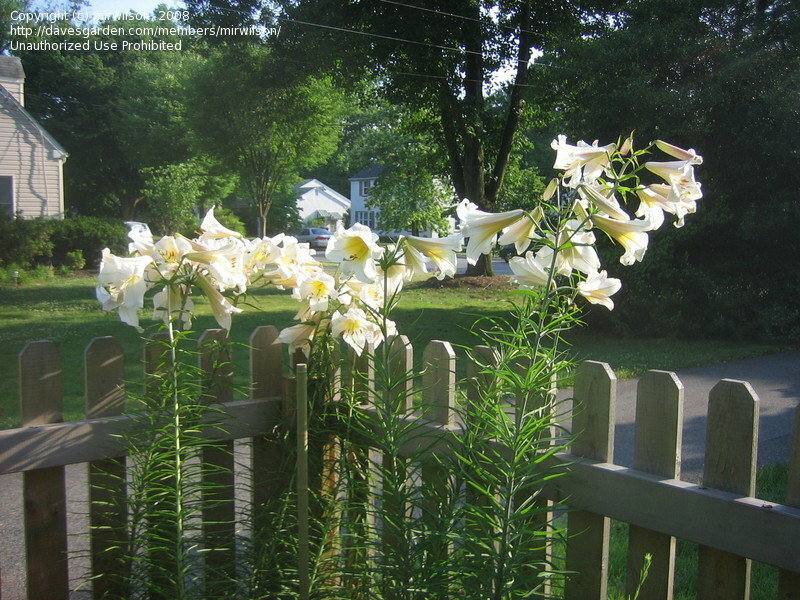 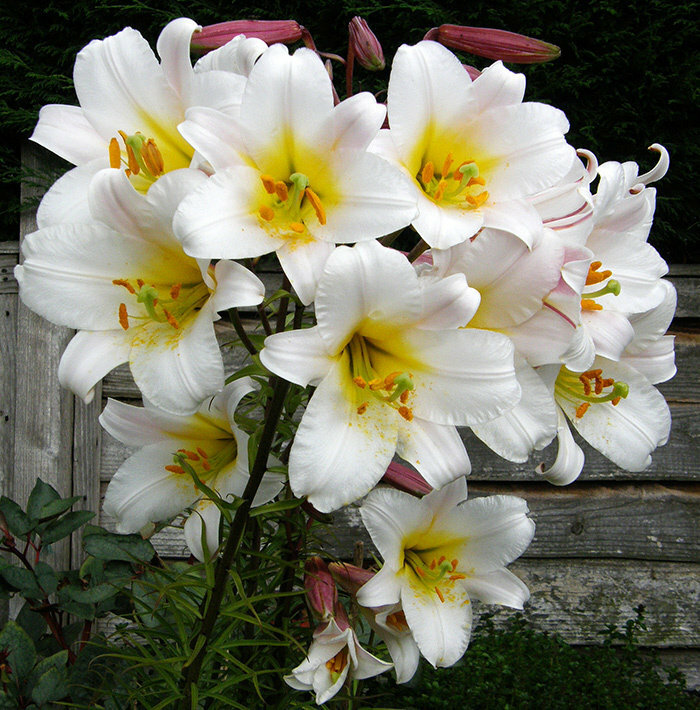 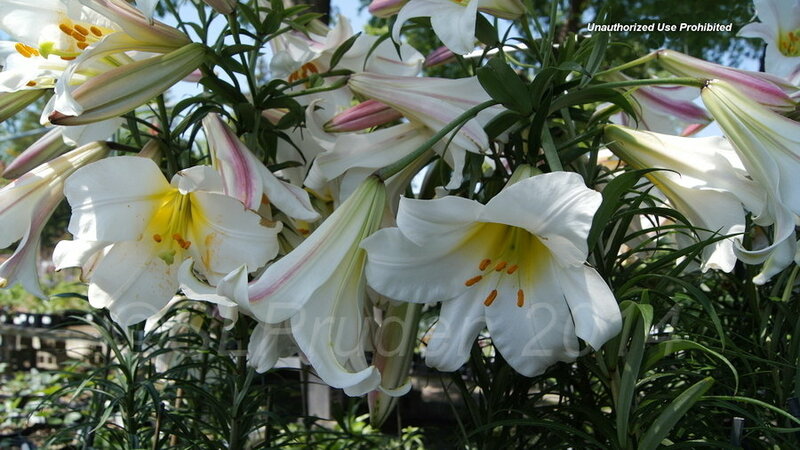 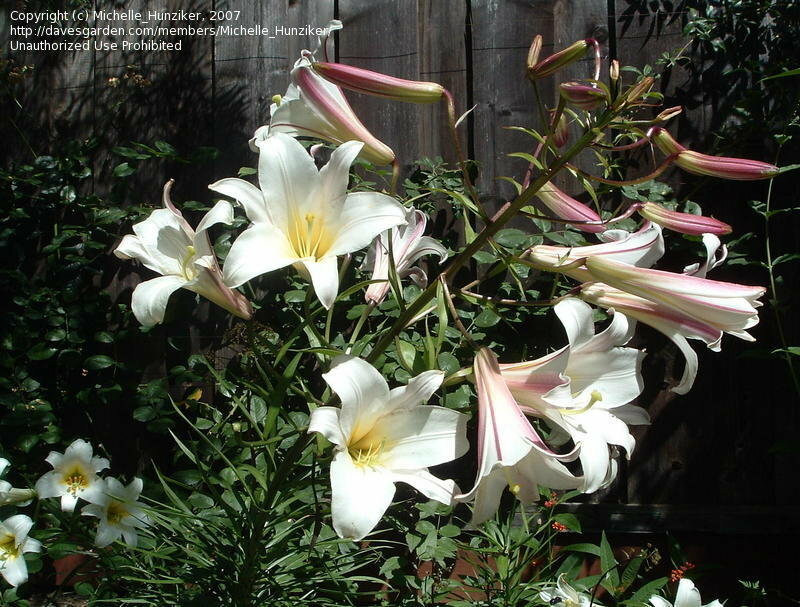 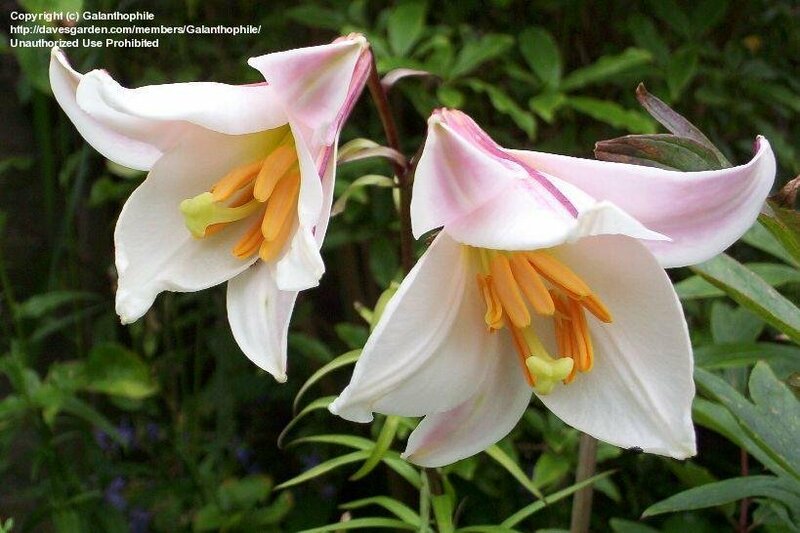 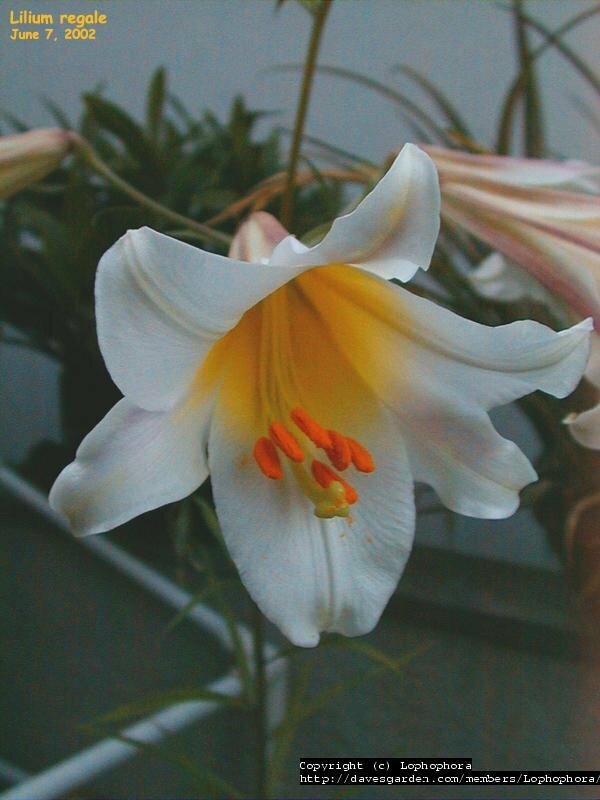 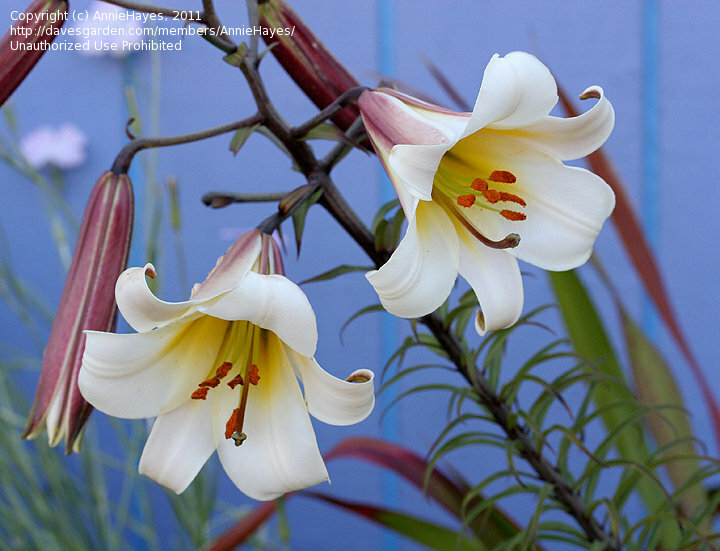 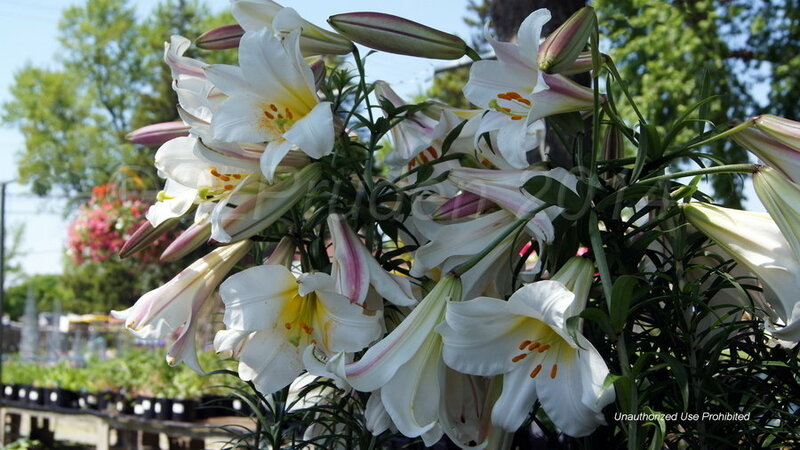 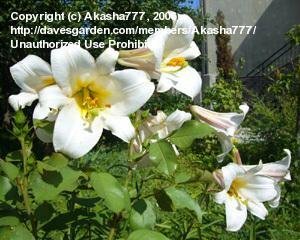 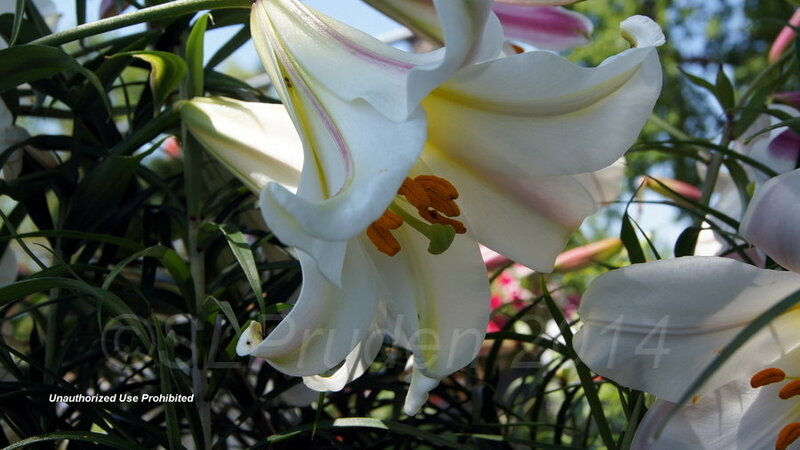 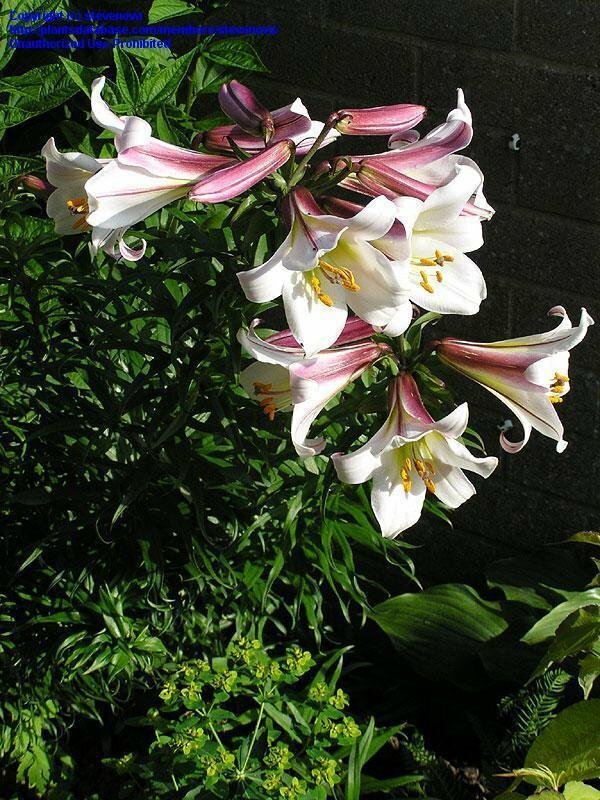 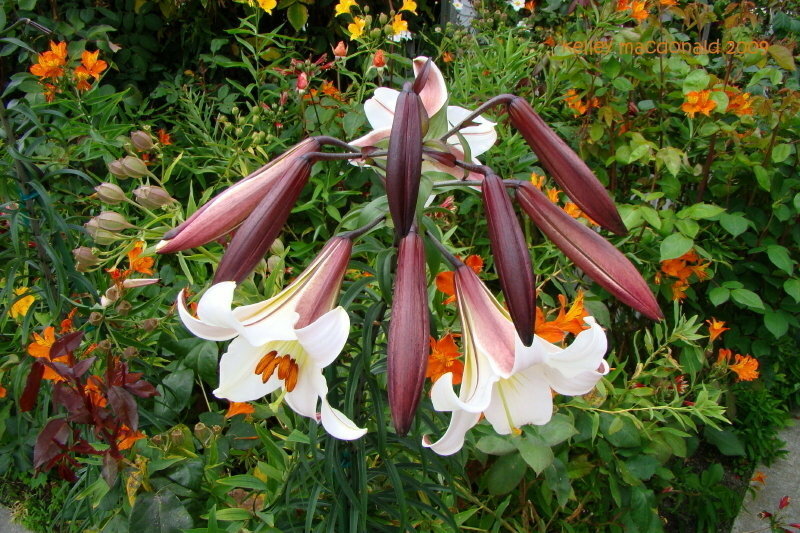 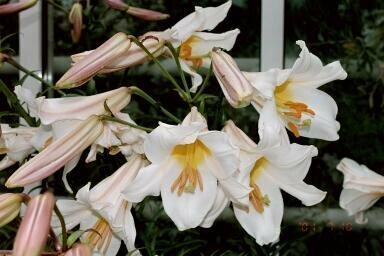 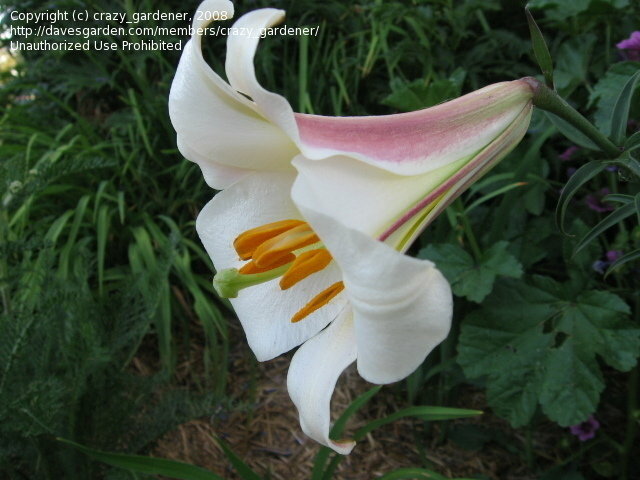 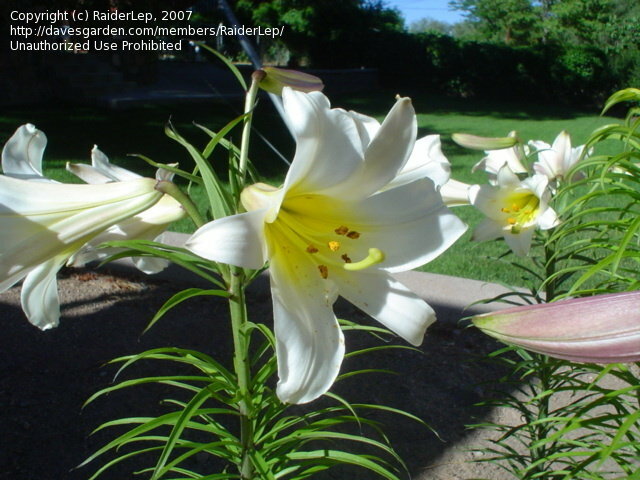 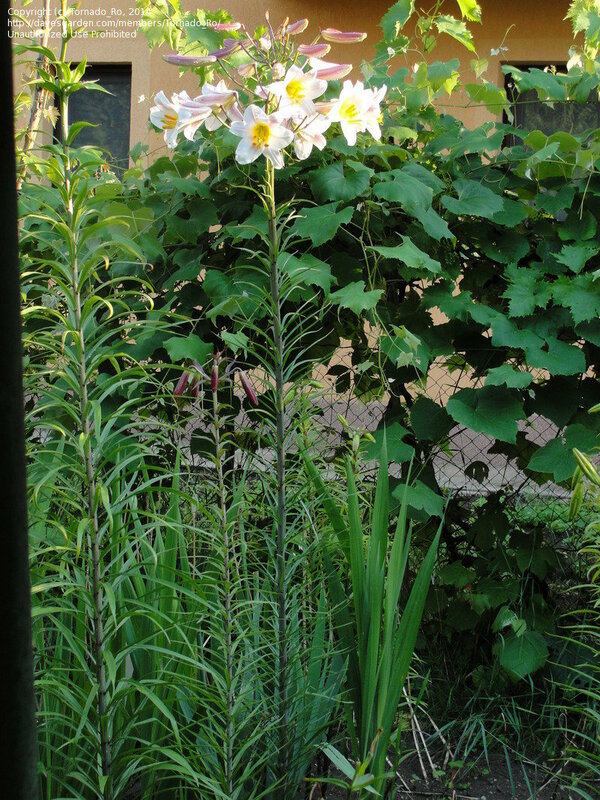 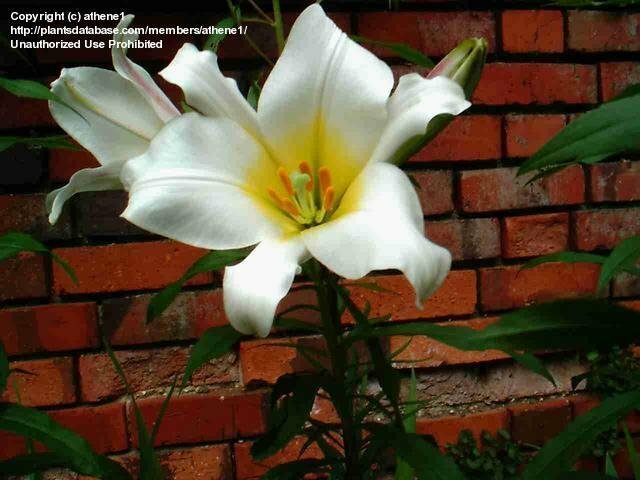 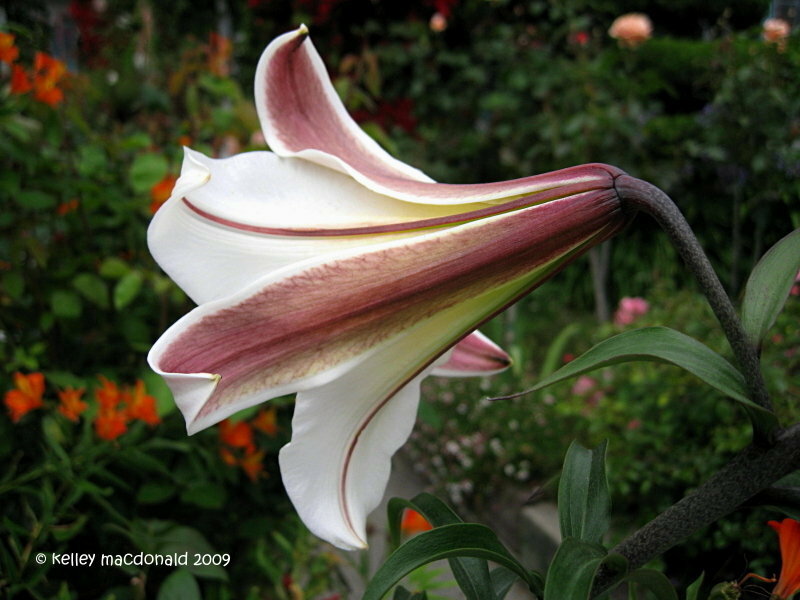 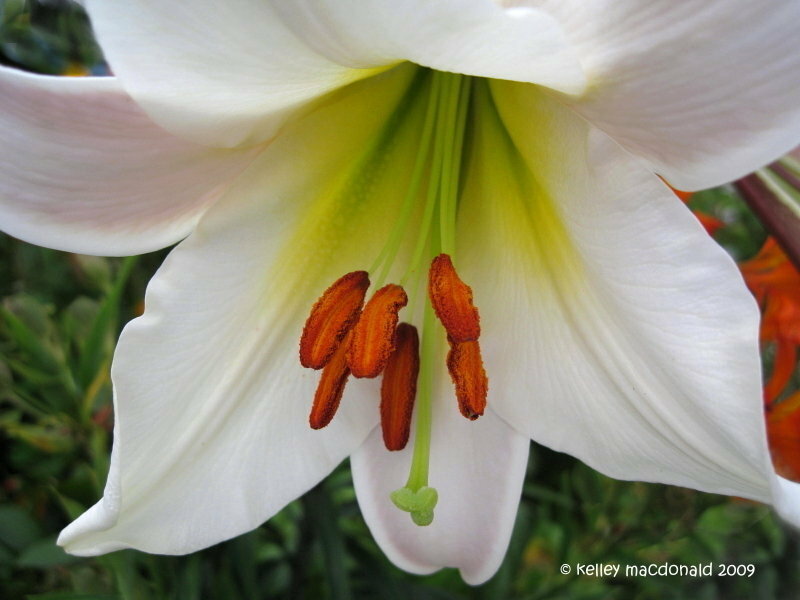 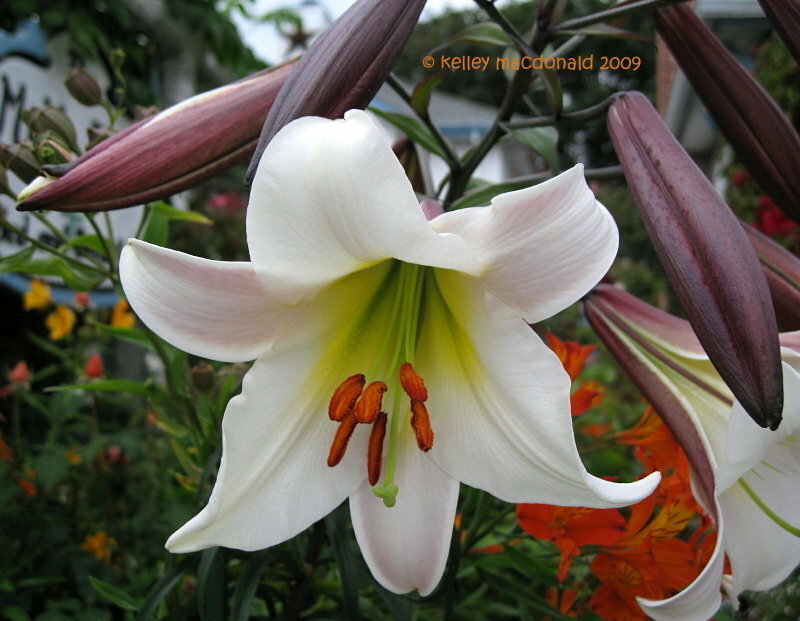 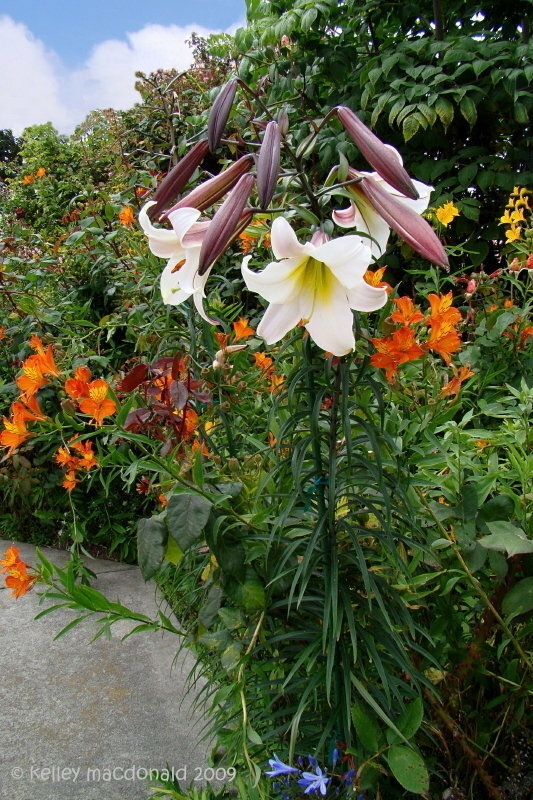 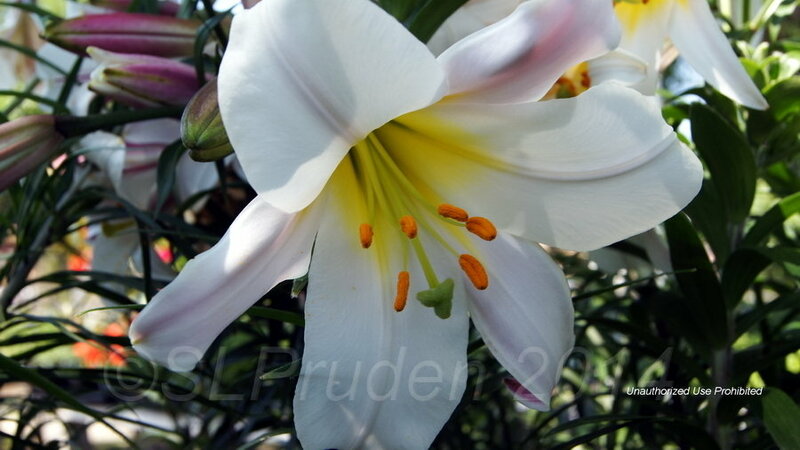 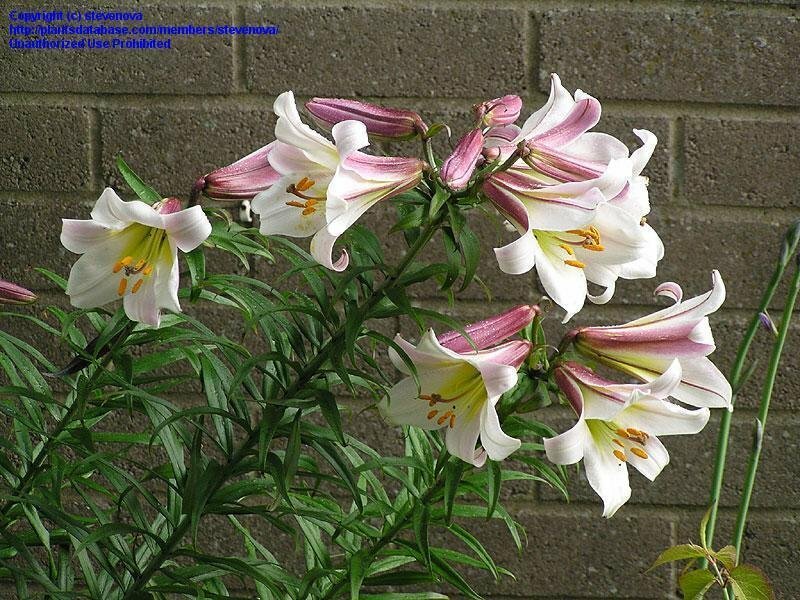 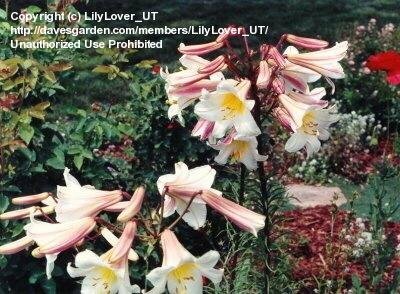 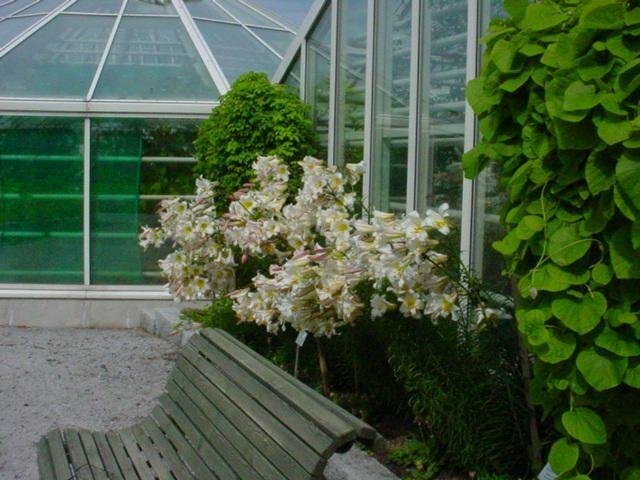 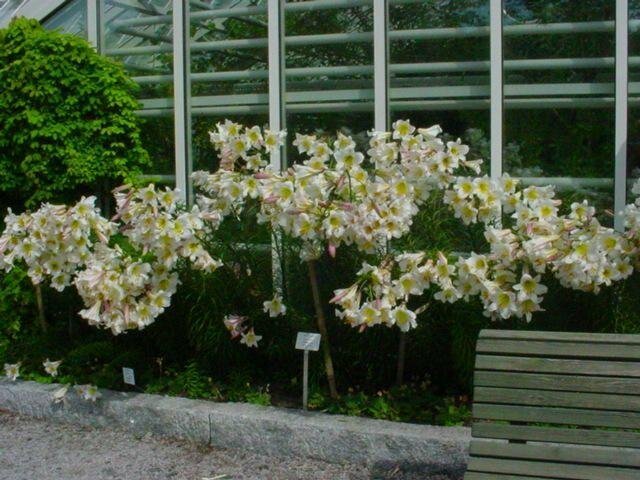 The Original Trumpet Lily Bulb: The Regal Lily. 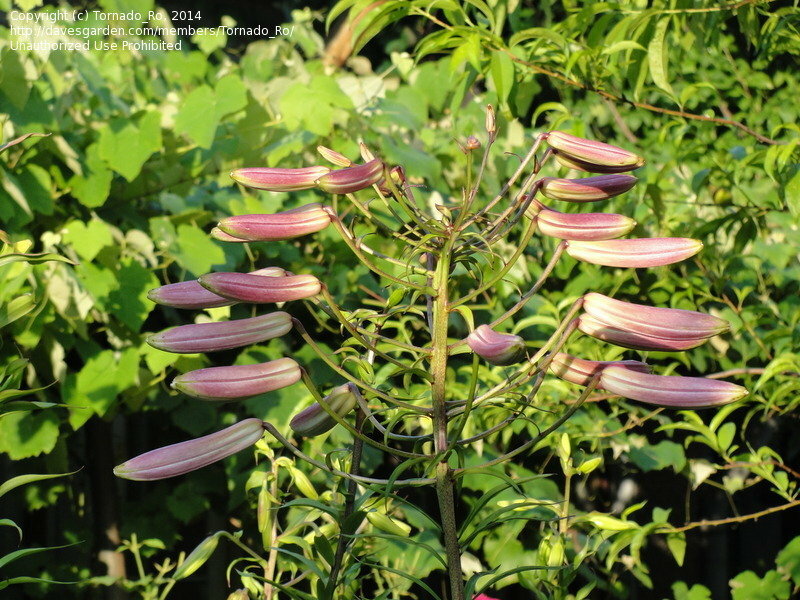 Discovered in China by British botanist E. H. Wilson in the early 1900's. 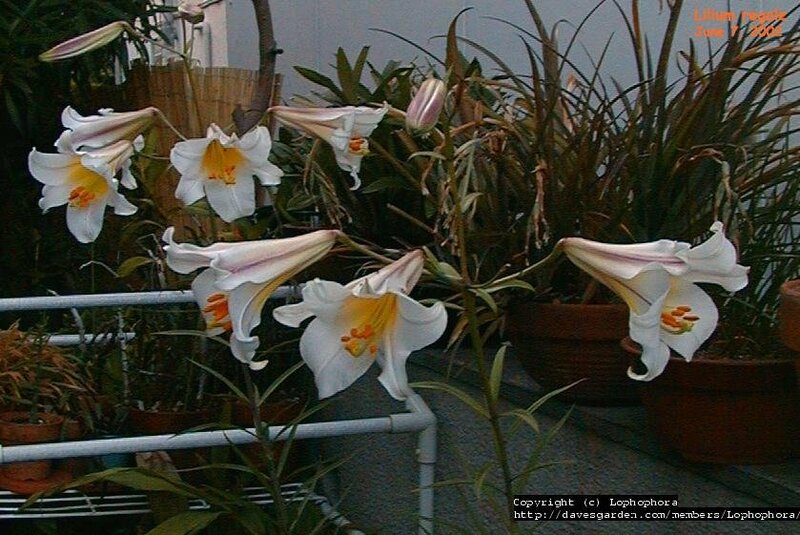 This group is growing in a large pot in my garden. 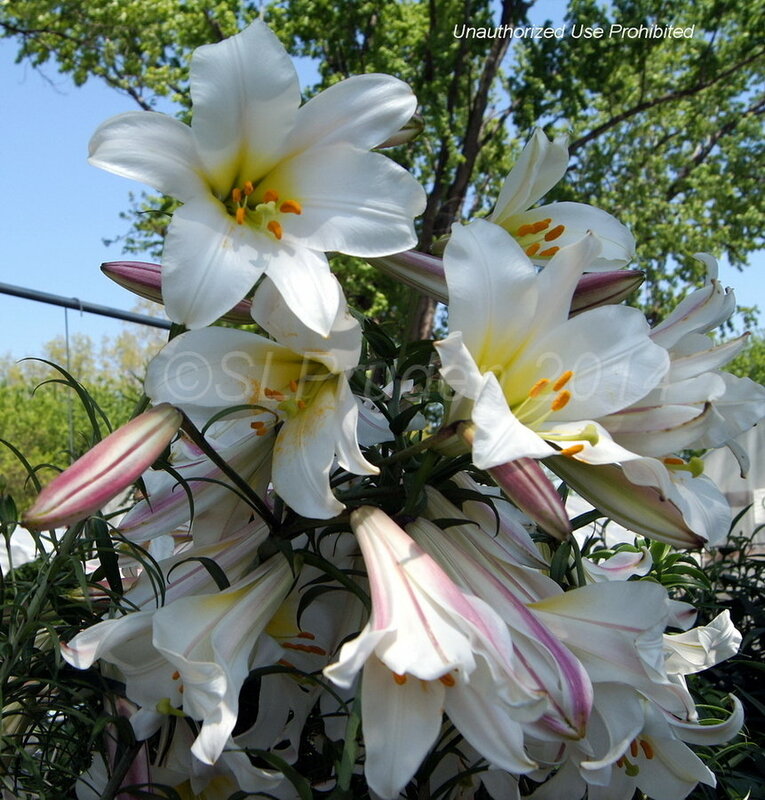 The Texas heat fades the blooms to a beautiful creamy white .